Elyse graduated from the University of Alabama, where she received her B.S. in Human Performance and Exercise Science with concentrations in pre-professional studies and fitness. 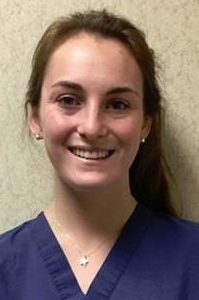 She previously interned at Southeastern Spine Specialist in Tuscaloosa where she gained experience on advanced surgical techniques. Elyse is nationally certified in BLS and brings a strong work ethic and eagerness to learn new clinical skills. Elyse’s sense of compassion extends far beyond her role as a medical assistant. She is an international mission volunteer and most recently provided medical relief in Costa Rica. She is already planning a second volunteer mission to Guatemala.